How do we get more women into the heating industry? Of 100,000 Gas Safe registered engineers, fewer than 500 are female. And, according to statistics from the Institute of Engineering and Technology, fewer than 10% of the UK’s engineers are women – the lowest percentage in Europe. Staggeringly low figures which show a huge gender imbalance in the heating and plumbing industry. We’ve taken a look at the potential reasons why women are so underrepresented, and how we can start to do something about it. Why Do We Need Women to be Heating Engineers? Maybe the best place to begin is a controversial question, but do we really even need more women in the heating industry? Historically, it’s always been a trade dominated by men and obviously they’ve done a pretty good job on the whole, so why even bother getting women involved? As you might have guessed given the title of this article there are, of course, several reasons. Gender equality in the workplace and out of date stereotyping is a big topic of discussion in our society and stereotypes surrounding so called ‘blue jobs’ and ‘pink jobs’ are being challenged more and more. There is no physical reason why a woman is any less capable of being a heating engineer than a man, so if it’s a career that she wants, there should be nothing stopping her. We’re currently experiencing a significant shortage of qualified heating engineers in the UK. The Gas Safe Decade Review highlighted an ageing workforce in this industry, with half of gas engineers due to reach retirement age in the next 10 years. And, despite ongoing talks about replacing the gas heating network with more renewable energy, it’s looking likely that gas central heating systems are not going to be replaced by a viable alternative in the next 30 to 50 years. This means someone entering the industry now can feel secure in the knowledge that, if they want it, they have a career for life. Grow your business with access to 1000s of high quality boiler sales leads. Register for FREE today. Nearly two-thirds of the general public do not have a preference as to whether a tradesperson is male or female. 46% claimed that they wished to support women working in non-traditional jobs. Of the women surveyed, 35% said they would actually prefer to hire a female engineer. 10% feel a woman is less likely to patronise them. Encouragingly, 77% of the homeowners surveyed said the most important consideration is if the engineer has the skills to do a good quality job, regardless of gender. Why aren’t there more female engineers? From our research and the industry feedback we’ve had, it seems the ideal time to embark on a career as a heating engineer is straight out of school via an apprenticeship. So why aren’t more young women choosing to start an apprenticeship? 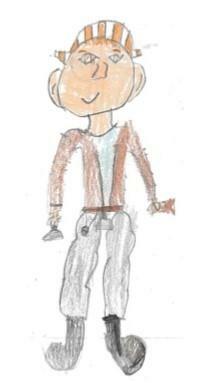 65% of children drew lawyers as male (making it the most gender balanced of the 4 professions). Clearly there is still work to be done in terms of presenting career options to children as gender neutrally as possible, and this needs to underpin both family and school experiences, as well as better representations of gender diversity in the media. If, as the report by Education and Employers suggests, it’s true that 45% of young people choose a career based on what they see in TV, radio and film, it seems a good place introduce some more diversity in terms of the female role models we provide young girls with. One organisation making big strides in this area is Stemettes. Stemettes is a social enterprise on a mission to “inspire the next generation of females into Science, Technology, Engineering and Maths (STEM) fields by showing them the amazing women already in STEM”. Stemettes want all girls to be able to make informed decisions about careers in STEM, so that eventually women can be proportionally represented in the field. They run public events, school trips, a mentoring programme and an app to educate and inspire girls and young women about the opportunities available to them in the STEM industries. 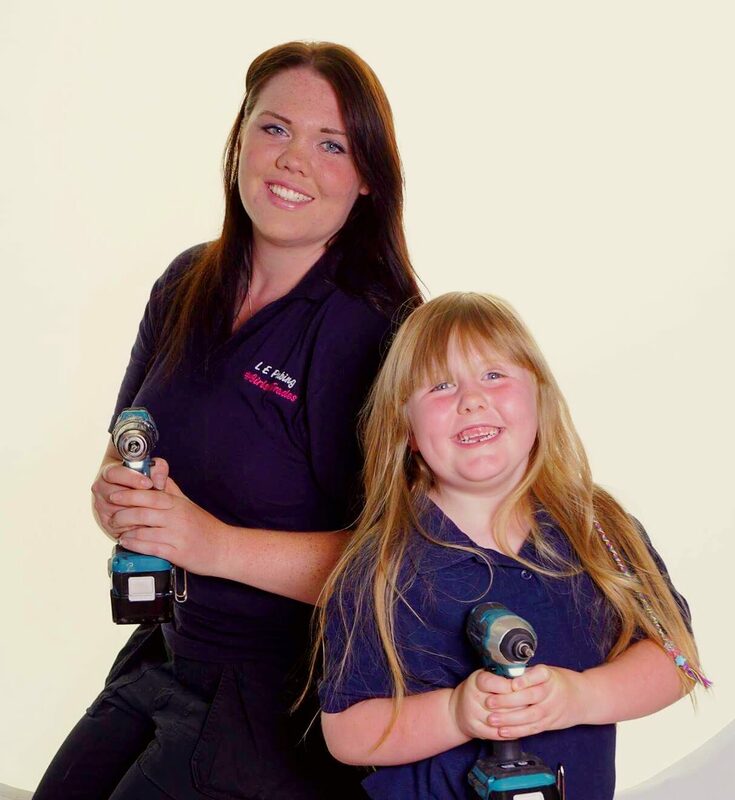 So, in addition to the need for more support from schools and colleges and the media, it seems that there’s another camp of influencers who need to be convinced that being a heating engineer is a viable option for women: the parents. 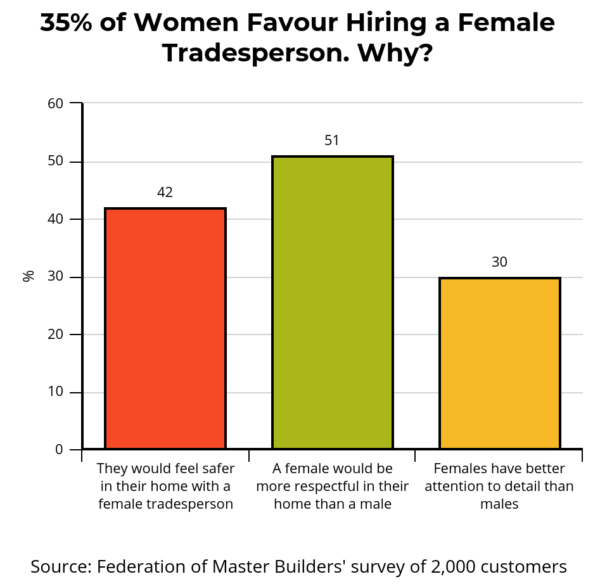 A parental bias towards gendered careers was evident in a survey by the Federation of National Builders: 46% of people surveyed claimed that they wished to support women working in non-traditional jobs, but fewer than 30% would encourage their own daughters to pursue a career in a trade. But why? Training to be a heating engineer is no easy task. It requires a high level of intelligence, skill and knowledge and continued development and training. In addition to the technical skills you also need be a creative thinker and have excellent communication skills to be able to provide the best levels of customer service. Unfortunately, this doesn’t seem to be the impression held by some. While children may grow up with unconscious gender perceptions, as a society we have another chance to get more women into the industry: by giving both male and female school leavers equal encouragement and opportunity to take up an apprenticeship. British Gas carried out their own research on the subject of women in heating engineering apprenticeships and found that over 70% of girls thought they were most suited to careers in beauty, childminding, nursing or education. In addition, 51% of girls and women surveyed said the career advice they got wasn’t that helpful compared to 39% of boys surveyed. Of course, these high quality people can be any gender, from any background and can be any age. 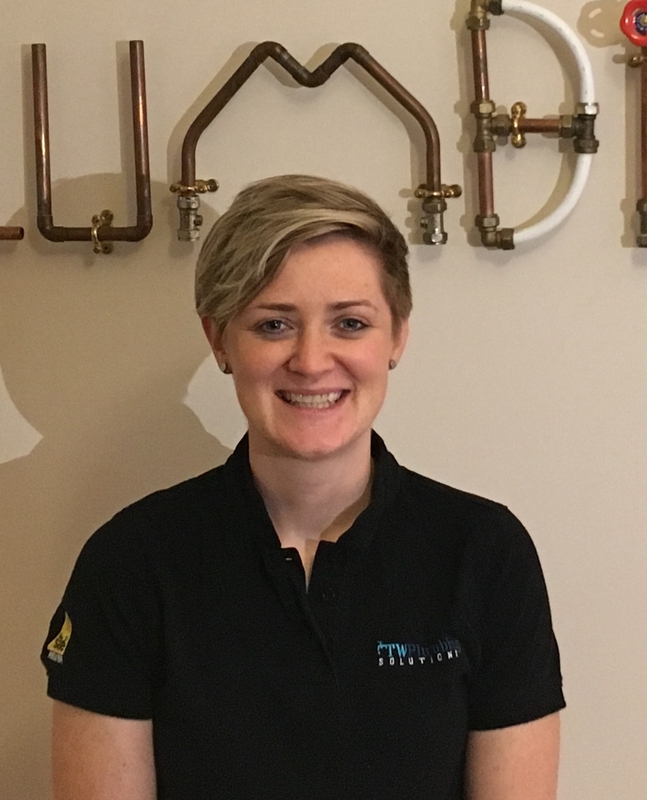 There’s no age limit on training to become a heating engineer, so why aren’t more adult women making the leap? While gender stereotyping is a dirty word in the context of this article, there have been studies on gender confidence and career paths which are very interesting. Specifically, an internal report by Hewlett Packard found that men will apply for a job or promotion when they meet only 60% of the qualifications, but women apply only if they meet 100% of them. What held women back from promotion or pay rises was not lack of ability, but reluctance to put themselves forward. 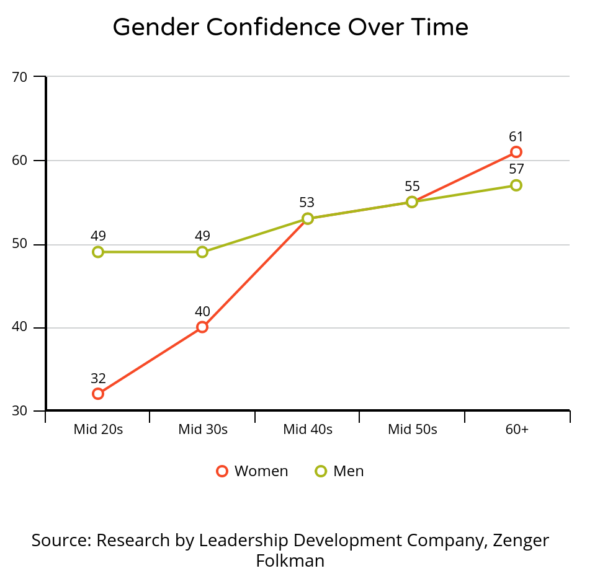 Leadership development company, Zenger Folkman, found that confidence levels in women in their 20s and 30s were far lower than their male equivalents. So unfortunately the period in which women might be embarking on a career or considering a change also coincides with their period of lowest confidence. As the industry is currently dominated by men, any girl or woman considering the profession is certainly blazing a trail. On one hand this could be seen as an incentive, a motivation and an opportunity. Unfortunately, it seems that in reality this factor is a major deterrent. 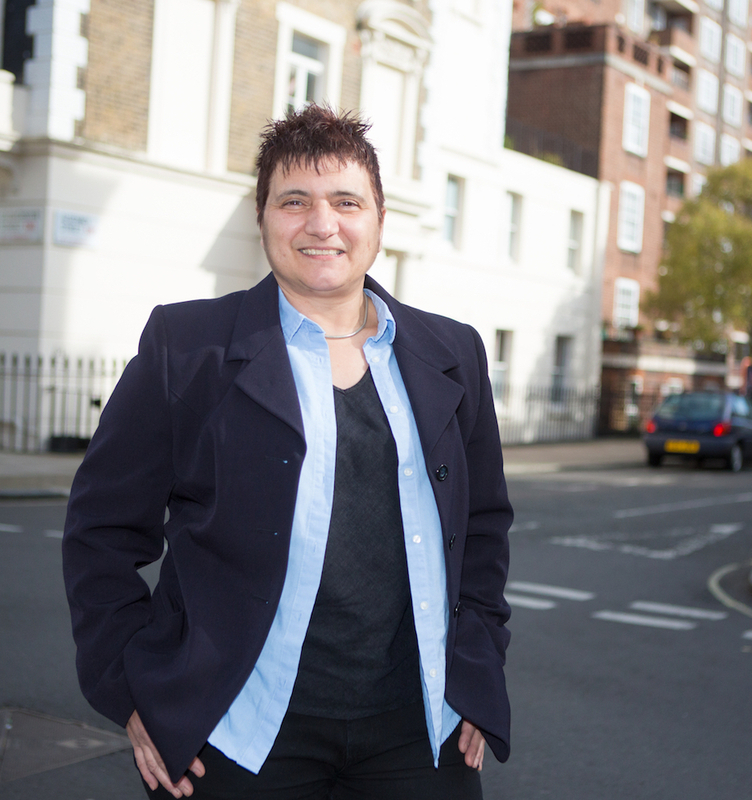 Founder of Stopcocks, Hattie Hasan, was (and still is) certainly leading the way for female plumbers and heating engineers when she started her career back in 1990: “In my own experience, it was difficult to get a foothold in the trade. We may believe that sexism is a thing of the past in the UK, but my attempts to gain employment in 1990 were not looked upon favourably by the fraternity of plumbers. I was discouraged and told ‘it’s heavy work you know?’ and ‘you’ll get dirty’. Retraining as an adult is often a challenge for any gender and in most industries, simply because we usually have more responsibilities than a school leaver such as bills, rent or mortgage payments, families and households to run. That makes finding the money and time to get the training needed a real obstacle. And as these rare apprenticeships seem to be not only the best way to learn but to also have some level of income while you train, competition for them is high. However, despite the challenges of retraining as an adult, once qualified a self-employed heating engineer benefits from the flexibility of choosing how much they want to work and the kind of work they want to do. 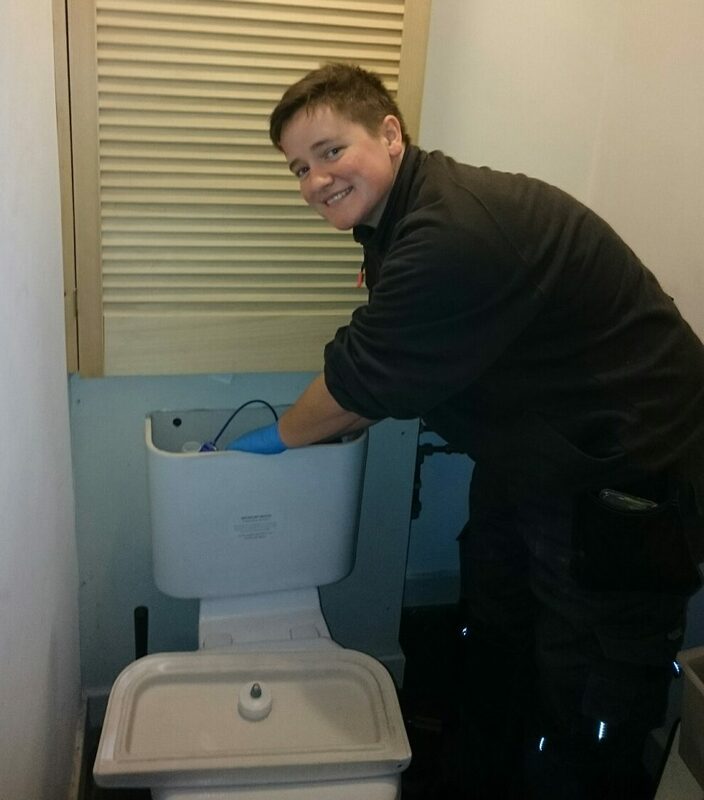 Jennie Jones is a Stopcocks plumber and is a perfect example of someone who has made the career work around her life. She was working in the journalism and media industry for several years but after becoming a mother decided she needed to make a change. “I found a lot of magazine/newspaper jobs entailed long hours and low pay that didn’t fit well with my family needs. I needed a new career that was in demand, interesting, that I could do anywhere, that I could be self-employed and that was well paid. Plumbing ticked all the boxes. 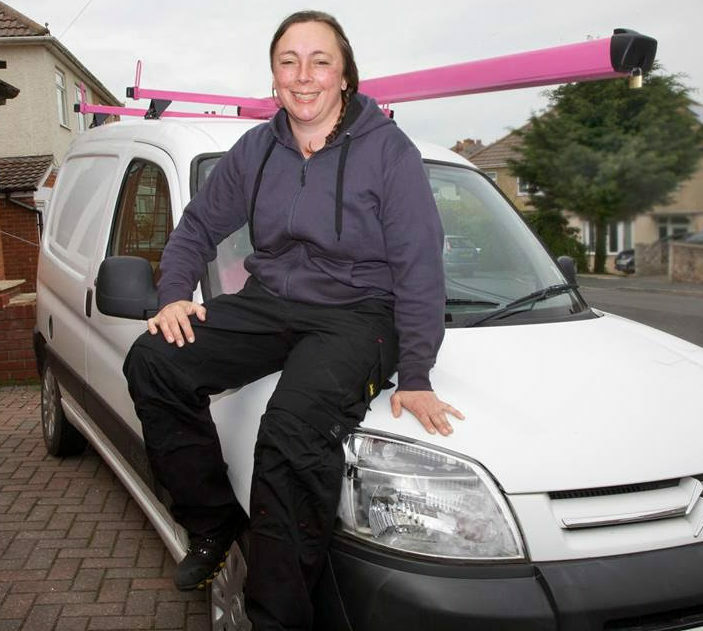 “I spent 4 years on day-release at my local college to get my NVQ 2 and 3 in plumbing and heating. I had two full-time plumbing jobs before going self-employed. The first was with a social housing organisation. The second with a local plumbing firm. As a single mum with young children, I had trouble getting on site early and also working long hours. So I needed better flexibility and family-friendly hours. Could You Be a Heating Engineer? The best heating engineers are people who enjoy solving problems and thinking creatively. The hours can be long and the work strenuous (and dirty!) at times, but it’s also important that you’re someone who enjoys working with people and dealing with customers in a friendly yet professional manner. Attention to detail and a high level of ability in maths and science are also key skills. 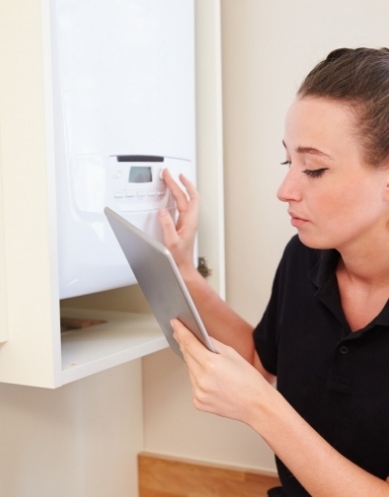 Your tasks could include installing, servicing and repairing gas appliances (boilers, cookers, central heating systems or gas fires) and heating systems. If you’re employed by a company it’s likely you would be assigned multiple jobs in a day and it would be your responsibility to ensure they are all completed to a high standard within the time constraints given. To become a heating engineer you’ll need to pass an industry qualification such as an NVQ or diploma in a subject such as Domestic Natural Gas Installation and Maintenance, Domestic Plumbing and Heating or Gas Utilisation. To begin start studying for these qualifications, you should be employed by a company to get the hours of practical experience you need; therefore most Gas Engineers start within an apprenticeship scheme. You will then be legally required to get on the Gas Safe register covering the types of appliances you intend to work on. This is usually done via a Gas Assessment Training (ACS) certification, which assesses your skills and experience to prove you are qualified to safely work on gas or heating systems. Heating engineers continue to train throughout their careers to stay up to date with the latest technologies, legislation and to develop their skills. Why Become a Heating Engineer? While apprenticeship salaries are around £15,000 per year on average, once qualified a heating engineer can earn between £25,000 – £35,000 per year, or even up to £50,000 for very experienced engineers. For self-employed independent plumbers your earnings will depend on how much you choose to work. If you run your own business, this figure is down could be significantly higher! The job offers long term career prospects and legally requires engineers to be Gas Safe registered. The longer you spend in the industry the more skilled and experienced you’ll become. The career is challenging, both mentally and physically, on a daily basis requiring skills in maths, scientific knowledge, manual skills and excellent customer service skills. You also have the opportunity to work on a range of projects from domestic homes to commercial or industrial settings. Self-employed engineers decide when and where they work and are not tied to a desk or office. You can arrange your working hours around your other commitments. Considering a Career as a Heating Engineer? Stopcocks run an annual conference for female installers in the traders called Women Installers Together (WIT); the next event is on 4th July 2019. 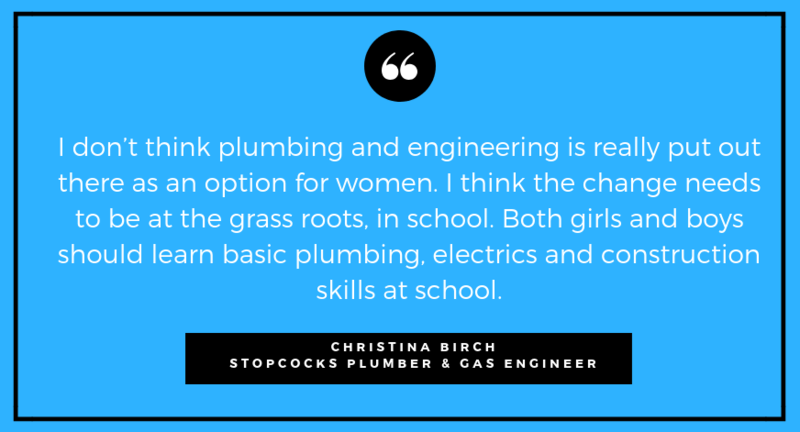 For more information about Stopcocks Women Plumbers you can visit their website here. 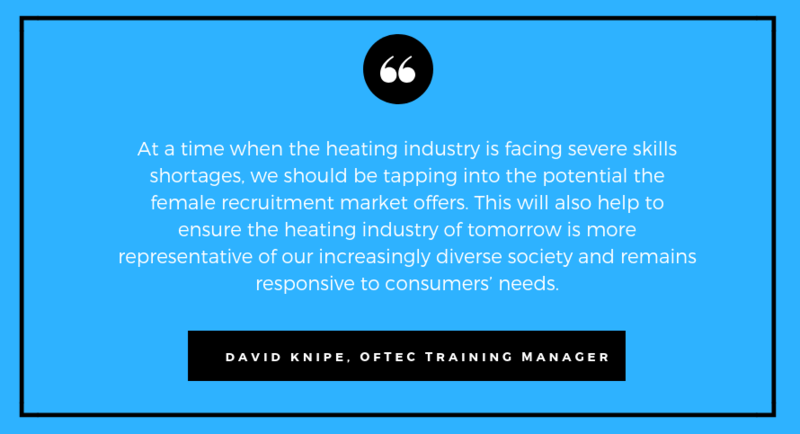 There’s no simple solution and potentially we won’t see significant improvement in the representation of women in the heating industry for many years to come. But our best opportunity seems to lie in early education and the influences of both family life and the media. Children of both genders need to be presented with all the available options, given positive role models in a wide range of industries and encouraged to choose careers based on their abilities and interests – not their gender. For general guidance on training as a plumber, the Chartered Institute of Plumbing and Heating Engineers (CIPHE) is the professional body for plumbers and heating engineers in the UK and can provide further information on training and qualifications.